Make your own Easter fun with Cocoa Creme Bunny! This adorable stuffed brown bunny has cocoa brown fur with white patches on his face and belly. With loving brown eyes, Cocoa Creme Bunny can also be outfitted in new outfits and accessories for the perfect springtime look. 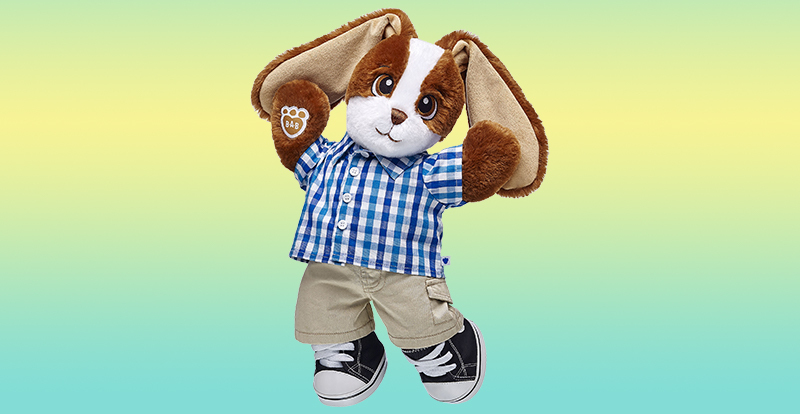 Whether it’s an Easter egg hunt or an adventure any time of the year, Cocoa Creme Bunny is ready to play!